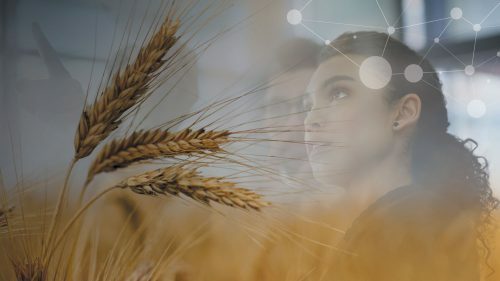 Former Canadian astronaut Dr. Roberta Bondar and Galen Weston, CEO of Loblaw Cos. Ltd., will be among some of the world’s most eminent thinkers in the future of food and agriculture at the inaugural Arrell Food Summit to be held by the University of Guelph’s Arrell Food Institute this month. The event will explore transparency in food supply chains, Indigenous food sovereignty, and robotics and AI in agriculture, among other topics. The summit will take place May 22-24 in Guelph and Toronto. “The Arrell Food Summit unites some of the most influential, forward-thinking figures in the global food economy,” said Prof. Evan Fraser, director of the institute. Along with Bondar and Weston, speakers will include Sir Charles Godfray, a zoology professor and director of the Oxford Martin Programme on the Future of Food at Oxford University. and Danil Kerimi, head of Information Technology and Electronics Industries at the World Economic Forum. Other speakers will be Sheila Watt-Cloutier, Nobel Prize-nominated Inuit activist; Sam Thevasagayam, director of agriculture development for the Bill and Melinda Gates Foundation; and Sebastian Tuenissen, with Solidaridad, the Netherlands-based organization that founded the fair trade label. Discussions at U of G on May 22-23 will highlight emerging issues and research from food policy to food waste to mental health in agriculture. “Our goal in the establishment of the Arrell Food Institute was to inspire the next generation of food and agriculture thought leaders and to effect real-world change, and the summit offers an impactful opportunity to do just that,” said Fraser. The Arrell Global Food Innovation Awards gala – to be held May 24 in Toronto – will recognize individuals or groups who have made significant contributions toward a more sustainable, safe, equitable and nutritious global food system. This year’s winners are Solidaridad and Samuel Myers, a Harvard University professor whose work has shown that climate change could make food less nutritious. Read the Globe and Mail story on Dr. Samuel Myers and the Arrell Global Food Innovation Awards. Founded in 2017, the Arrell Food Institute has become a centre of interdisciplinary discussion for the most pressing issues in food and agriculture. It aims to transform global food systems by creating tools to produce enough food for the growing human population while sustaining ecosystems. The summit will include tours of select U of G food and agricultural research facilities. For tickets and schedule information, visit the Arrell Food Summit website.